Should plastic straws be banned? What about other plastics? States and countries are starting to examine this problem more and more. Learn more about these efforts in this week’s CLP Current Event. CLP: Important look at how other parts of the world are dealing with the issue. Are plastic straws bad for the environment? Are plastic straws needed by certain populations, e.g. people with disabilities? 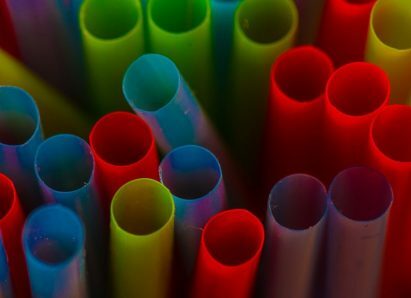 What might replace plastic straws? 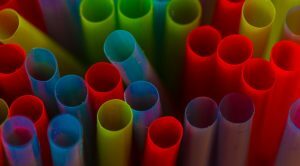 Would the removal of plastic straws negatively impact some groups? Would removing plastic straws make a difference for the environment? What else needs to be done to protect our environment? Are straws a symbol of how to think about the environment? What other actions need to be taken to keep a healthy environment? How does money impact action on environmental issues? How can kids take the lead in environmental awareness? Should there be laws regarding straw use? What should be an appropriate penalty? Does the ban on plastic grocery bags indicate support for the elimination of all plastic in our landfill? What else needs to be eliminated? Might balloons be as damaging to the environment as straws? How many straws end up in the ocean? How many plastic straws are in the ocean? How many plastic straws are used each day? How long do straws take to decompose? What inventions can be used to remove plastic in the ocean? What can a citizen do to preserve a healthy environment? CLP: Grades 7-12, science connections! CLP: Options for grades K-12!